After taking a short break to celebrate Christmas, the Asidlale Team hit the ground running last week with a visit to Nandipha’s Crèche in Phumula (on Eucaforest Farm at Panbult). 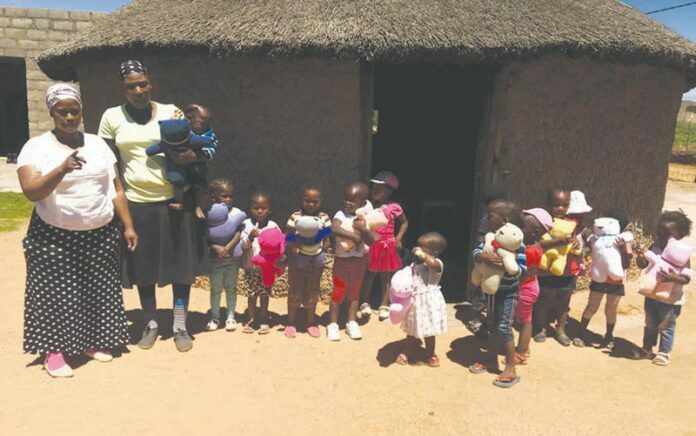 Nandipha runs a crèche near her home which is attended by 30 children. She is a very dynamic young lady, and is also one of the Crèche teachers that attended the TUT (Tshwane University of Technology) training last year on Bloemendal Farm. 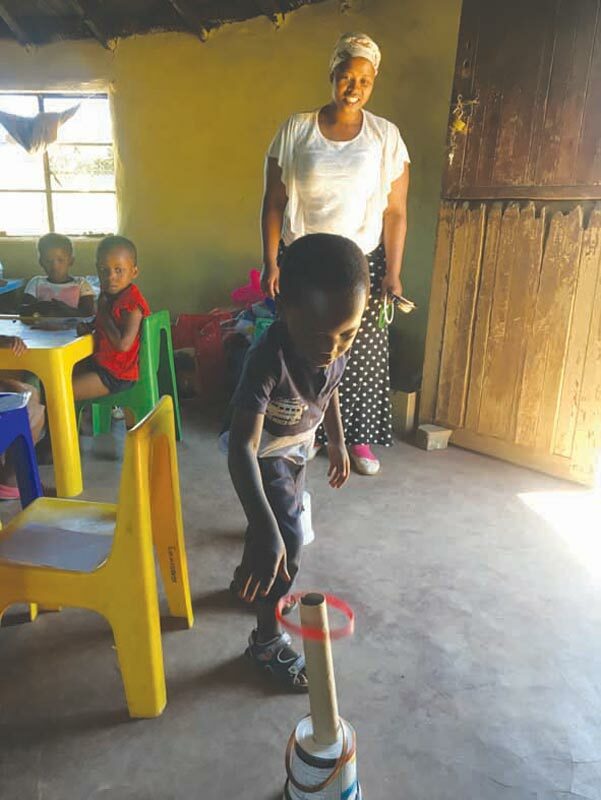 The Asidlale Team spent some time at the crèche showing Nandipha how to use the ‘Asidlale 2’ Boxes – how the new games and activities are played, and especially spending time on the new exercises included in the boxes. We have included more exercises that help with left-right brain activities such as touching opposite sides of the body, and are endeavouring to enhance the children’s’ concentration levels in the process. Each child was also given a Prayer Bear to keep and take home, and there were many happy faces on Friday! Thank you Nandipha for the amazing work you do in Phumula, and for the impact you have on these children. We will return later in the year with an ‘Asidlale 3’ Box, which will include even more activities for the children to do.